There's no doubt that with over 500,000 subscribers, SKYCABLE is the number one cable TV service provider in the Philippines. Sky Cable has grown to feature the best and most varied cable programs for the whole family. Recently, as they keep on improving their services to satisfy viewers, they launched the Organized Channel (OC) arrangement. This is the reason behind why viewers thought that their Sky Cable Channel arrangement is messed up. The Sky Cable Organized Channels lineup is arranged according to genre in channel assignments with increments of 100. The Sky Cable new channel line up introduces new security to your kids because channels groups for kids are the same when you go from one place to another, it makes faster location of favorite programs, better channel surfing and viewing experience, and easy addition of channels for their customized line up. You may subscribe to any Sky Cable basic plans by visiting their official website at www.mysky.com.ph or call SkyCable Customer Service Hotline at 345-2278. 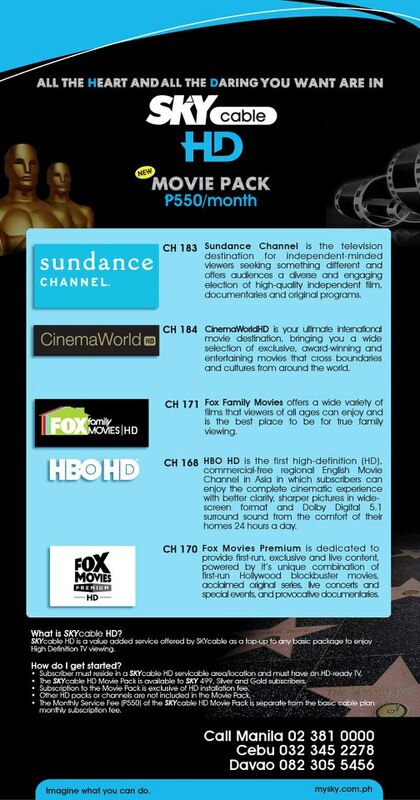 0 comments: on "The New SKYCABLE Channel Lineup under the Organized Channel assignment"